I visited Jonathan Martin after he was removed to Bedlam. He remembered what had taken place at York, and said, all that he had ever done, or thought of doing was as nothing to that which he was now commissioned to do. “Not since men were upon the earth” had anything so dreadful been seen or heard as the deed he was about to accomplish. It was to bring about all the denunciations contained in the sixteenth chapter of Revelations. I asked him what he meant to do. He answered, “You must wait till you will see.” I reported to the authorities that he was contemplating something terrible, and required to be specially watched. Shortly afterwards, Jonathan Martin died. 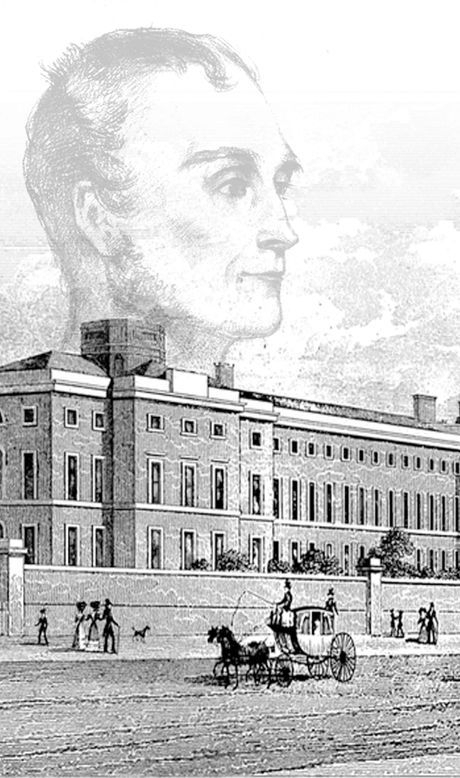 Jonathan Martin was sent to the Criminal Lunatic Asylum in St. George’s Fields, London, which was the Hospital of St. Mary of Bethlehem, popularly known as Bedlam, on April 28th 1829, where he remained until his death nine years later. It was here that Charles Dickens paid him one final visit. Upper - Portrait of Jonathan Martin, unknown. [engraving after a drawing by Thomas H. Shepherd], J. Tingle, 1828.